It’s funny how even the most stony corporate front can be cracked by its smallest contributor. An artist, hired by Microsoft to work on future projects, might have blown the whistle on the year of the launch of the next Xbox: 2015. While far from confirmed, which says little as Microsoft would never confirm something like this, we might have been given an early gift by the artist, the now famous graphic designer Ben Peterson. To be frank we can’t make anything more out of that image than you can. But still, it is our best bet at what part of next Microsoft Xbox will look like when it comes out. The world of consoles has been changing in recent years, with the devices enjoying longer and longer lifespans. 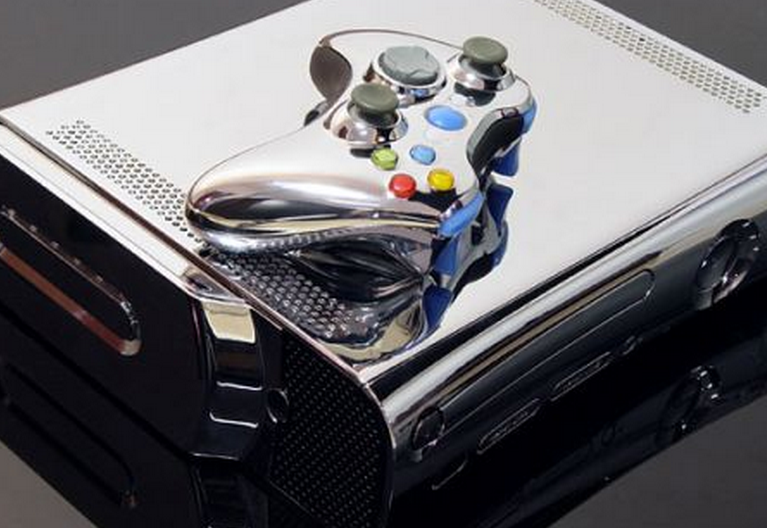 If the current Xbox is not phased out until 2015, then it will have enjoyed a fat decade on the market. The original Xbox only lasted up to five years, depending on the market location. Why the shift? The investment that the big three, Microsoft, Sony, and Nintendo, put into their consoles was monumental. And as games have manged to better use the processing and graphics capabilities of the consoles, games have manged to improve over time on more or less static hardware. Also, the peripherals market has become mature enough that consumers have significant investments in their console of choice, something that the seem unlikely to give up quickly. Finally, the console game is changing, with more innovation taking place in the social and software side of things, not the harder/faster/better/stronger new hardware model of previous generations of consoles. 2015? That is still a few years out, so put your guess for the name of the upcoming Xbox in the comments. We are pulling for Xbox 7. Just kidding, that would be horrible.